Hello lovelies! Today marks the start of a new series of posts that I'm calling Duped?! As you can probably guess, it's going to be my chance to look at polishes in my collection that seem like they might be dupes (aka duplicates). I might also throw in some polishes that I just want to compare even if they don't seem like exact dupes. 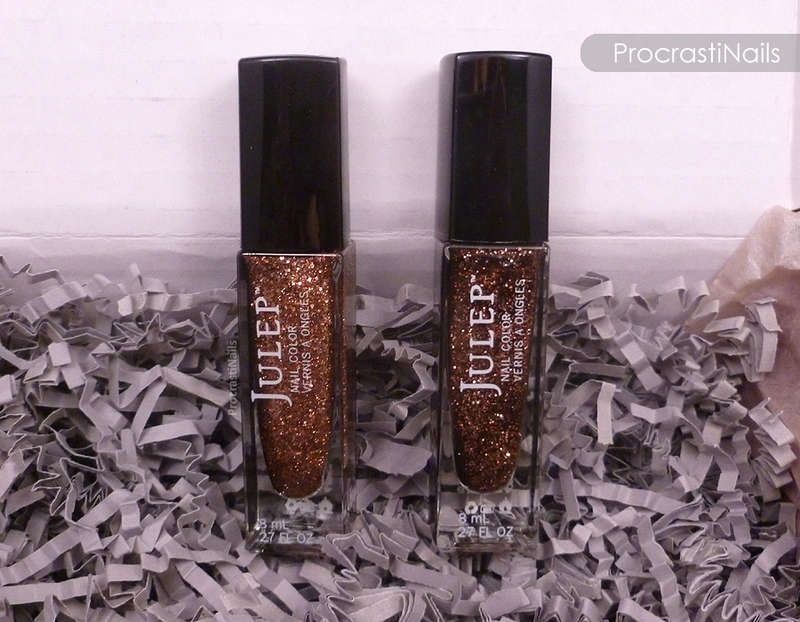 It's something I've been playing around with in my mind for a while, but when I got this month's Julep box and saw the colours in it I thought to myself: "Alright. These look eerily similar to other shades I've gotten in previous months. I need to compare!" 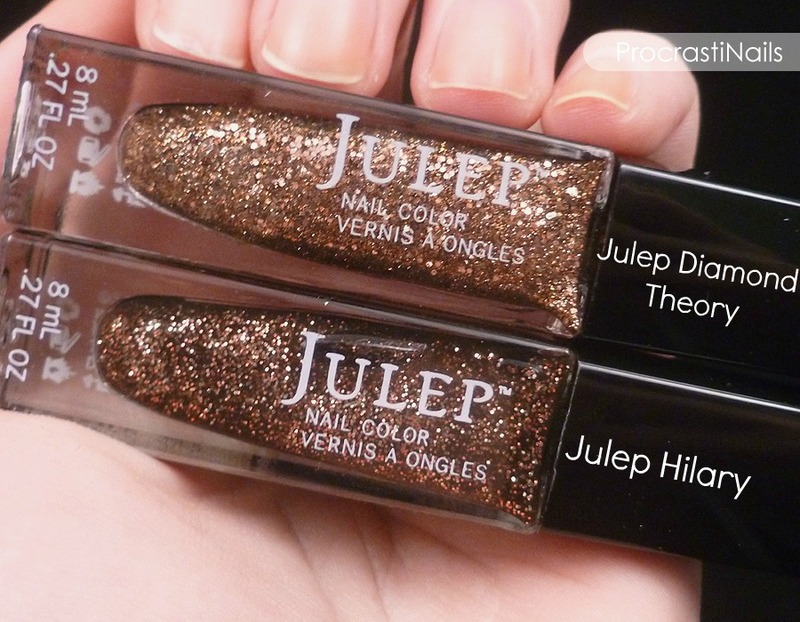 Today: Julep Diamond Theory and Julep Hilary go head-to-head! I'll tell you a bit about each shade, and then we'll get to the comparison. 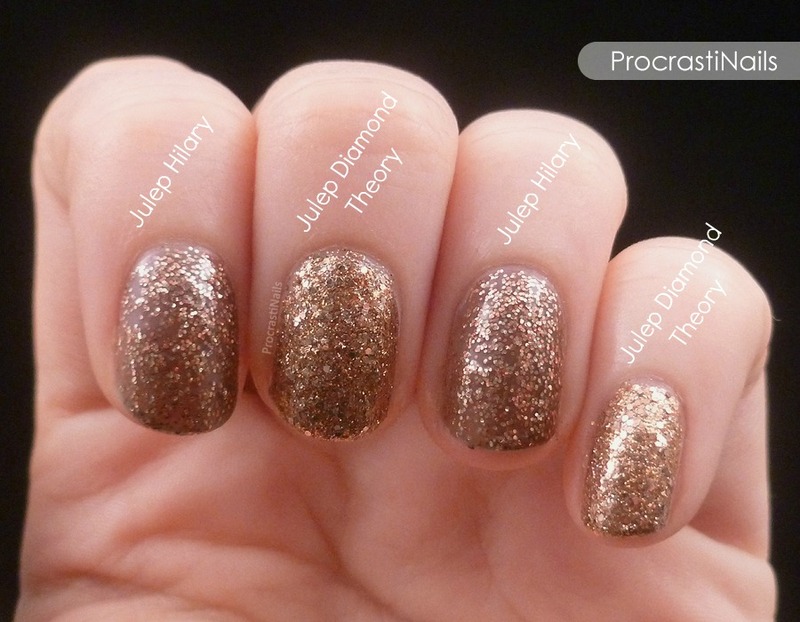 Diamond Theory was one of the polishes in Julep's February It Girl Box and is described as a "full-coverage multidimensional copper glitter." 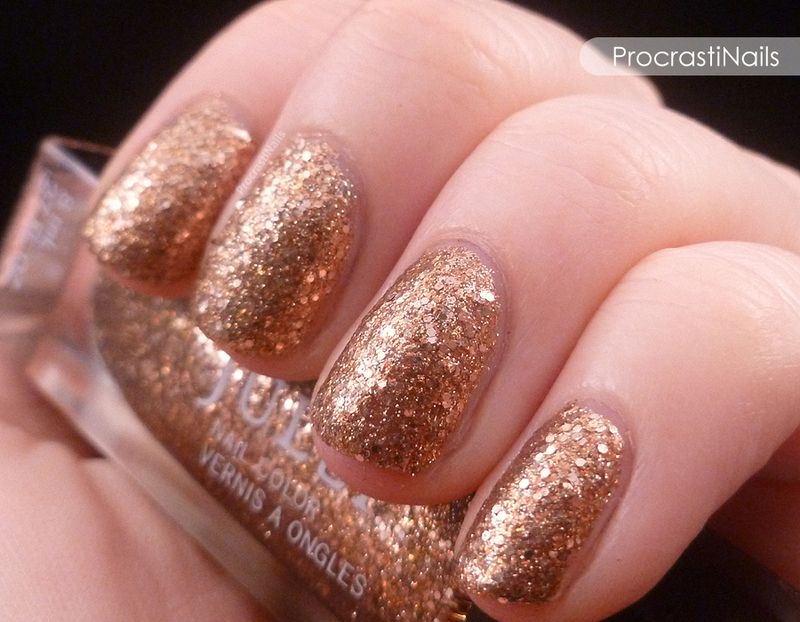 Hilary was a shade I got in my 2013 Gem Collection and it was originally in the December 2012 Bombshell box. 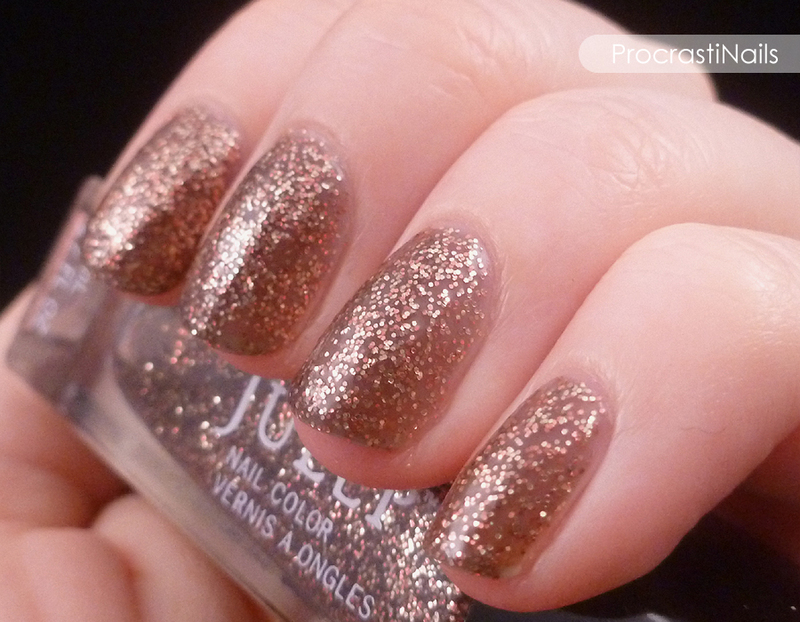 Interestingly enough it is also described as "full-coverage copper multidimensional glitter." Hmmmmm! Bottle Comparison: In the bottles the two colours look similar but they don't appear to be exact dupes. Diamond Theory has some visibly larger hex glitters scattered throughout, though I can see how a non-nail person might mix the two up if they just gave them a quick glance. Do you agree? Do you think a collection needs both, or is just one fine? Which is your favourite? :) Let me know! Great comparison of the two! They look very similar but not dupes though. I don't really care for either of these (have to agree with Nesita; I don't like glitters all that much (though they are pretty to look at on others :)), but I love that you're introducing this series - even if the polishes don't interest me, I really like seeing comparisons (hm..). Week of Love: Roses are Red, Roses are Purple! Week of Love: Kiss Me With Your Fuzzy Lips!